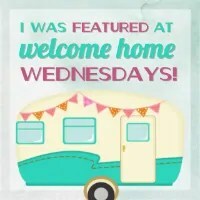 Welcome to Welcome Home Wednesdays #72!!! I hope you all had a wonderful and memorable Christmas and you’re enjoying some time with your family this week. Wishing you an amazing and prosperous 2017! Cheers! If you’re setting goals for the coming year, you should read THE SECRET TO SETTING GOALS AND ACHIEVING THEM. Thanks for partying with us! Cheers to a wonderful year! Happy to see you here again this week. Thanks for hosting with all the holiday craziness going on! Enjoy! Thanks for taking the time to join our party and thank you for taking the time to leave a nice comment. Cheers! Erin, wishing you and your family a wonderful blessed and happy New Year! Thanks, Dianne! And happy new year to you! Thanks for being here every week! Thanks for hosting and for featuring my pomegranate punch. I appreciate it. Have a great week. Thanks for partying with us! have a great week!